LEED Archives | André & Associates Interpretation and Design Ltd. The Master artists at Niche Design are part of our team of talented artists fabricating the permanent exhibits. Yesterday they finished the floor of the Tule Mat Lodge for the New Wanapum Heritage Center. Angela Buck gave them a “gold star approval!” Well done team! The Wanapum Team is working closely with Niche Design to install the Tule Mat Lodge in the New Wanapum Heritage Center’s permanent exhibits. 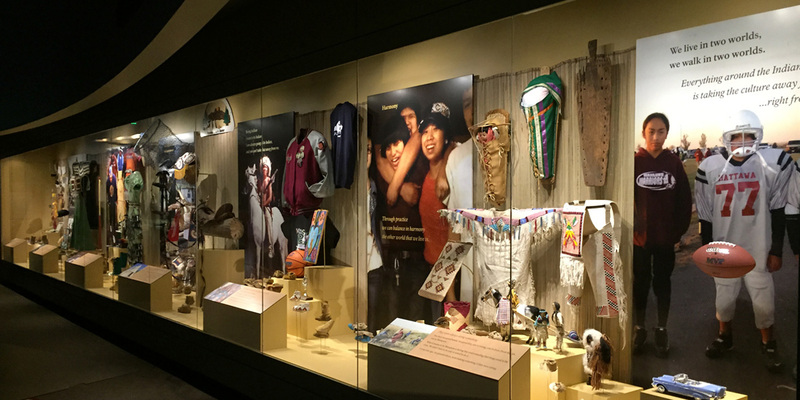 As done since time immemorial, the Wanapum have created Tule Mats in their traditional manner for their permanent exhibition.